The saving significance of the death of Jesus on the cross (e.g., the atonement and various atonement theories). I wanted to be a good student, so I began reading the primary texts for the class, but I thought I’d go through my own library and pull out all my “Jesus” books and set them aside for close access once the class began. In my pastoral office at the time, I had about 800 books on the shelves surrounding my desk. I stood there staring at the shelves for about 10 minutes in stunned silence as I saw a shelf of Bibles (whew) a bunch of commentaries, and shelf after shelf of every topic you could imagine (Church administration, leadership, preaching, small groups, fasting, prayer, spiritual warfare, systematic theology, the Holy Spirit’s gifts, Apologetics, Cults, devotionals, language helps, biblical encyclopedias and dictionaries, Christian classics, sermon helps. You name it!). In all of my library I was only able to find three books that were completely about Jesus (though many of my books had sections about Jesus in them). I was shocked! There I stood in front of 3 walls of books and only three of them were wholly devoted to the son of God. Pause and think about that. Scan through your own bookshelves. I know you have a Bible, but how many “Jesus books” do you have? Take a minute to count them. Have you read them? I went home that day and shared all this with my wife, and I actually got pretty emotional about it. It’s hard to capture in writing the shock that I felt, but it was real. I decided to do something about it. 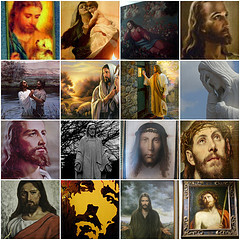 I started looking for Jesus books, and if I found one that seemed helpful, I added it to my collection. I also started an “atonement” library (emphasizing the cross of Jesus) but that is the subject for another post. 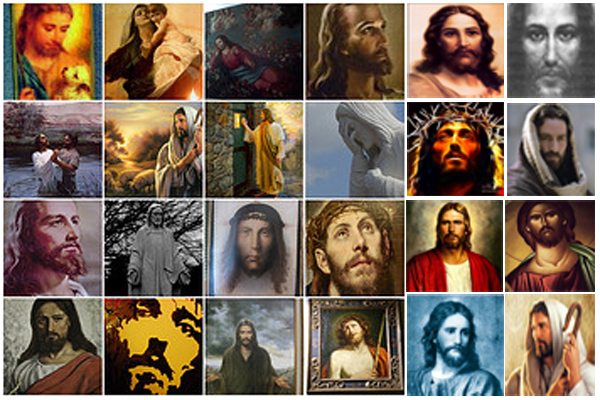 Below you will find a list of forty Jesus books that I suggest you get. Pick five and start with those, then begin building your collection. If you have some that you feel I should add to mine, please list them in the comments section below. Okay – Add your own to the list in the comments below. Also, if you have a favorite on my list, share what you like about it and how it has helped to to know and love Jesus more. Update: Check out Thomas Creedy’s list here (some duplication, but lots of great ones NOT on my list).